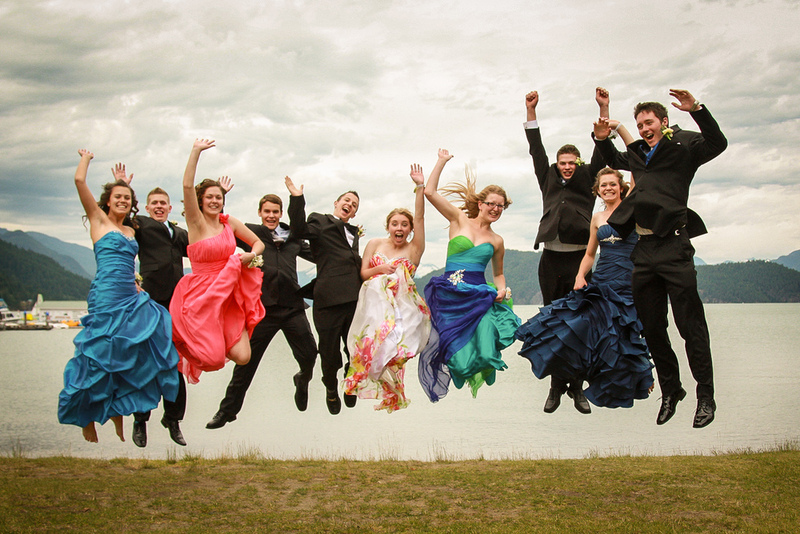 High school prom photo of students jumping in the air. High school prom photo of student on railroad tracks with gun. Teenaged girl leaning against barn.